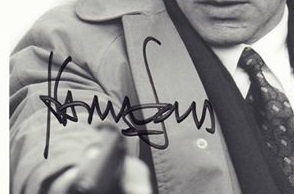 Born July 13, 1942; is an American actor, writer, and film producer. 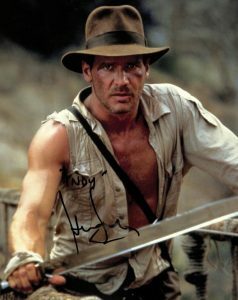 Equally, he gained worldwide fame for his major roles as Han Solo in the Star Wars film series and as the title character of the Indiana Jones film series. In Addition, five of his movies are within the 30 top-grossing movies of all time at the US box office. Also, Ford is known for playing Rick Deckard in the dystopian science fiction film Blade Runner (1982) and its sequel Blade Runner 2049 (2017); John Book in the thriller Witness (1985), for which nominated for the Academy Award for Best Actor; and Jack Ryan in the action films Patriot Games (1992) and Clear and Present Danger (1994). 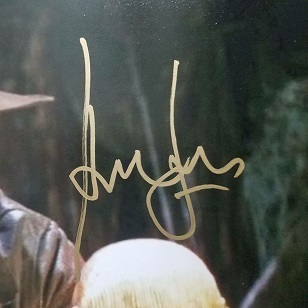 Likewise, his career spans six decades and includes roles in several Hollywood blockbusters; including the epic war film Apocalypse Now (1979). Together with, the legal drama Presumed Innocent (1990); the action film The Fugitive (1993); the political action thriller Air Force One (1997); and the psychological thriller What Lies Beneath (2000). Additionally, Seven of his films has got inducted into the National Film Registry: American Graffiti (1973), The Conversation (1974), Star Wars (1977). Likewise, Apocalypse Now (1979), The Empire Strikes Back (1980), Raiders of the Lost Ark (1981) and Blade Runner (1982). As of 2016, the U.S. domestic box-office grosses of Ford’s films total over US$4.7 billion. As well as, with worldwide grosses surpassing $6 billion. Furthermore, making Ford the second highest-grossing U.S. domestic box-office star. 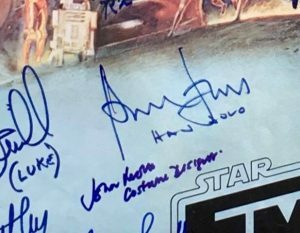 Buying authentic Harrison Ford autographs can be achieved easily but his prices are high. 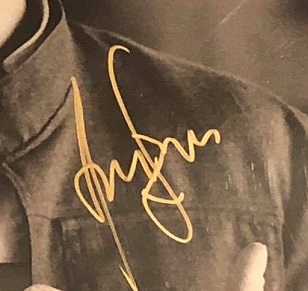 In 2019, he has agreed a signing session charging $1200 per signature.